Recent studies have identified carbon monoxide (CO) as a potential therapeutic molecule for the treatment of autoimmune diseases owing to its anti-inflammatory and anti-apoptotic properties. We explored the efficacy and the mechanisms of action of the CO-releasing molecule (CORM)-A1 in preclinical models of type 1 diabetes. 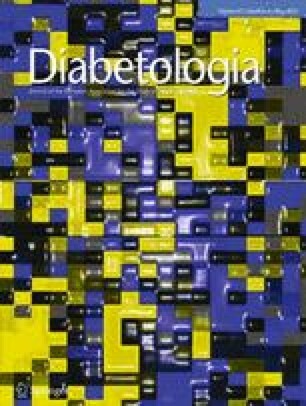 The impact of CORM-A1 on diabetes development was evaluated in models of spontaneous diabetes in NOD mice and in diabetes induced in C57BL/6 mice by multiple low-dose streptozotocin (MLDS). Ex vivo analysis was performed to determine the impact of CORM-A1 both on T helper (Th) cell and macrophage differentiation and on their production of soluble mediators in peripheral tissues and in infiltrates of pancreatic islets. The potential effect of CORM-A1 on cytokine-induced apoptosis in pancreatic islets or beta cells was evaluated in vitro. CORM-A1 conferred protection from diabetes in MLDS-induced mice and reduced diabetes incidence in NOD mice as confirmed by preserved insulin secretion and improved histological signs of the disease. In MLDS-challenged mice, CORM-A1 attenuated Th1, Th17, and M1 macrophage response and facilitated Th2 cell differentiation. In addition, CORM-A1 treatment in NOD mice upregulated the regulatory arm of the immune response (M2 macrophages and FoxP3+ regulatory T cells). Importantly, CORM-A1 interfered with in vitro cytokine-induced beta cell apoptosis through the reduction of cytochrome c and caspase 3 levels. The ability of CORM-A1 to protect mice from developing type 1 diabetes provides a valuable proof of concept for the potential exploitation of controlled CO delivery in clinical settings for the treatment of autoimmune diabetes. The online version of this article (doi: 10.1007/s00125-014-3170-7) contains peer-reviewed but unedited supplementary material, which is available to authorised users. MIN6 cells were kindly obtained from A. Tengholm (Biomedical Centre, Uppsala, Sweden), with the permission of J.-I. Miyazaki (Osaka University, Osaka, Japan), and RINm5F cells were kindly donated by K. Buschard (Bartholin Institutet, Copenhagen, Denmark). This work was supported by the European Foundation for the Study of Diabetes (EFSD) New Horizons Collaborative Research Initiative 2013 and Ministry of Education, Science and Technological Development, Republic of Serbia (grant no. 173013). IN, TS, FN, MV, IS and SSG contributed to the concept and design of the study. IN, TS, MV, KM, IS and SSG contributed to the acquisition and interpretation of data, and revised the article critically. FN, IS and SSG contributed to drafting the article. All authors gave approval of the final version to be published.